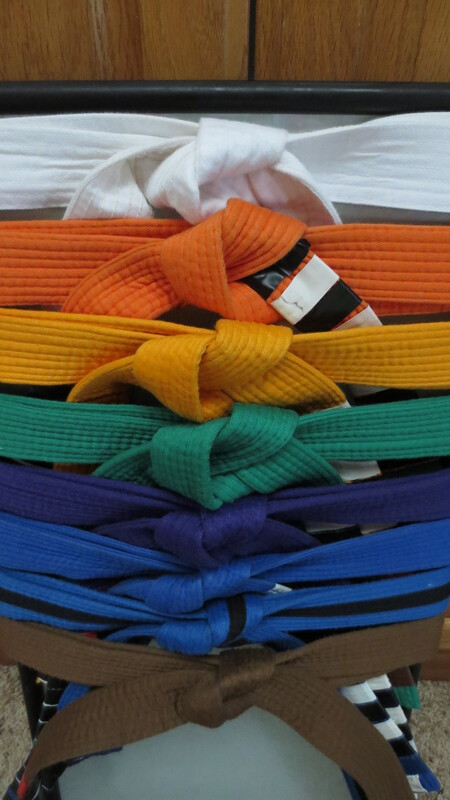 You saw a sneak peek of our belt display in this previous post and this one also. And if you don’t want to go back and read those, here’s the reveal…. By the 5th belt or so, I decided that nailing them to the wall was really not the best way to do it, but it’s what I started so I had to keep going. 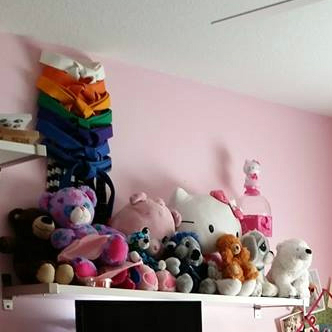 When it came time to repaint Brooke’s room, I had to pull them off the wall, leaving 4 tiny holes for EACH belt….32 nail holes in all. I knew then and there that I would not be hanging them back up that same way. 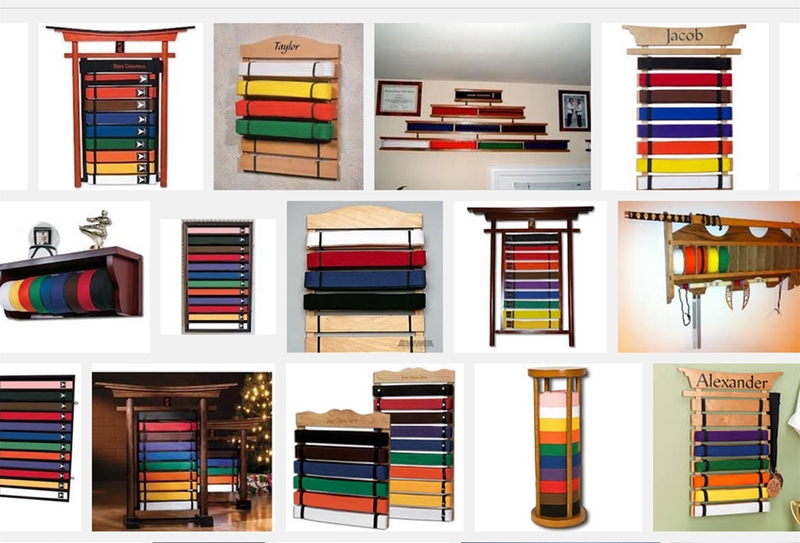 I Googled MMA belt display (Karate belt display, Taekwondo belt display)….. But man oh man, that is beyond my ability to DIY and I certainly didn’t want to pay money for it. So I thought long and hard about WHAT it was I was looking for. Feature #1: easy to hang on a wall. 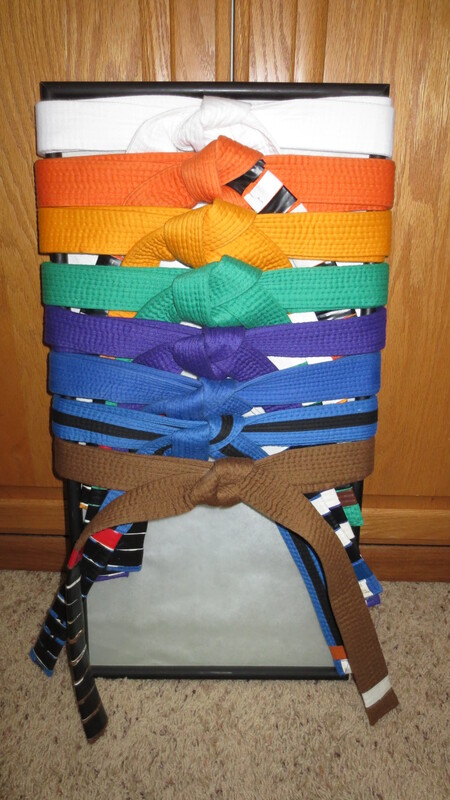 Feature #2: ability to stack the belts in their tied state, and easily add more as the girls (and Trevor, too!) progress. Feature #3: something that looks nice, simple, not tacky or too fancy. 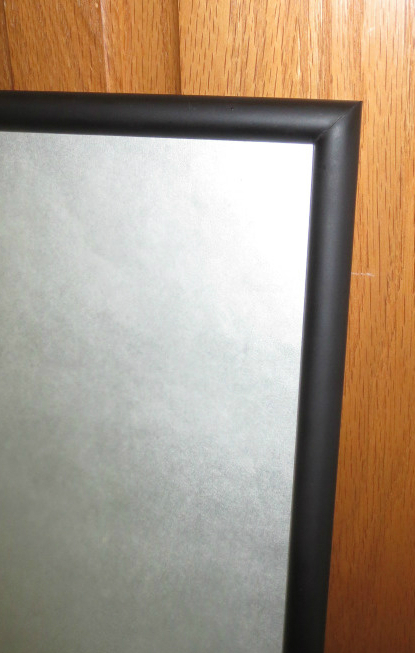 And it struck me- a picture frame! 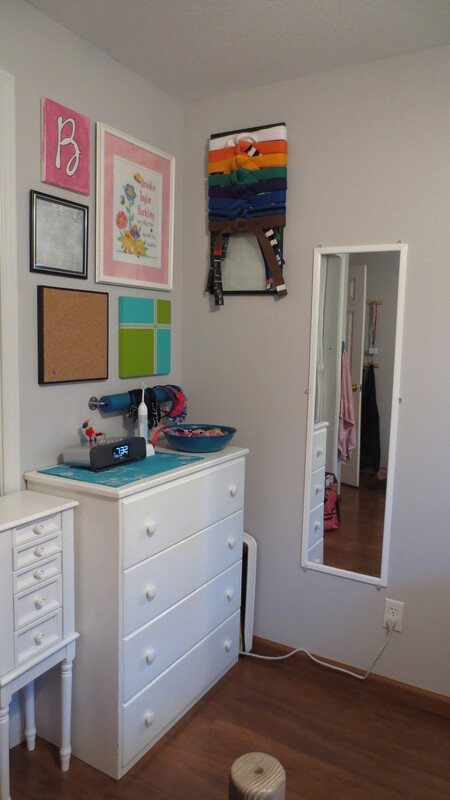 A tall and narrow picture frame! 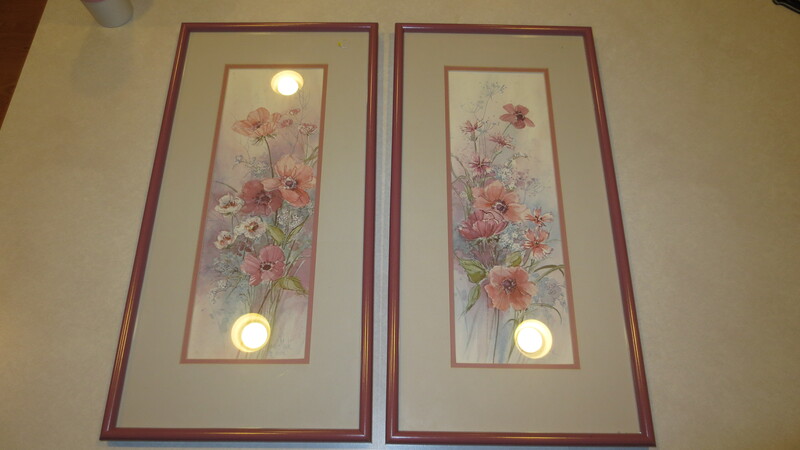 Hideously 1990’s art prints, but the perfect structure and super easy to upcycle / repurpose. The only catch? 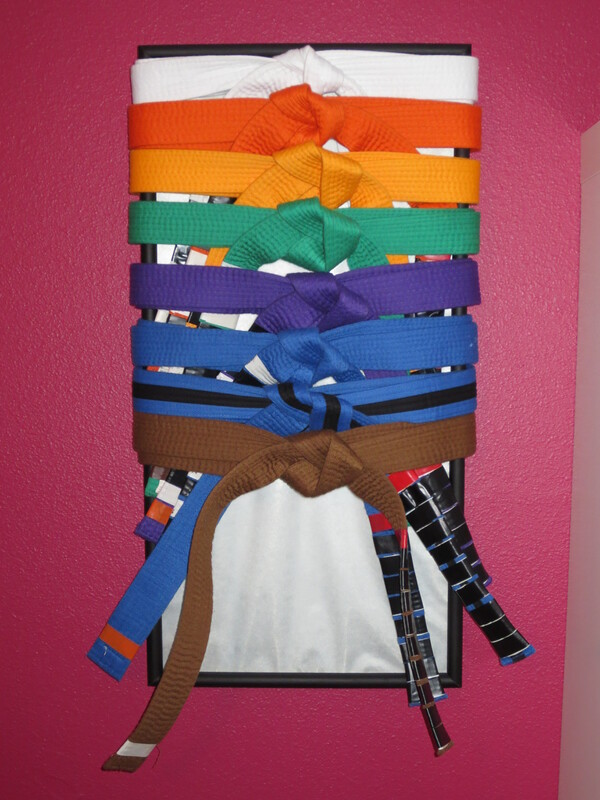 In order to put the belts around the frame, I’d have to untie and re-tie them. I told myself that the knowledge was still sealed within the belt, kind of like the 3-second rule when you drop food on the floor. Since I was simply untying it to retie it, it was OK. 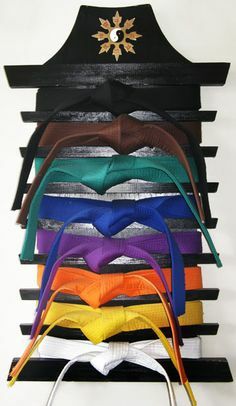 I tied them so that the new belt completely encompasses and surrounds the previous belt, further sealing in the knowledge. 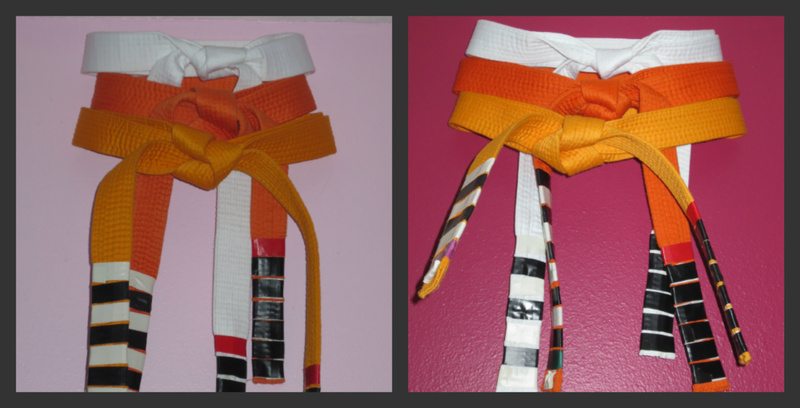 And it’s going to be super easy for me to add the next belt when the time comes! Even if I have to take it off the wall to tie it, it’s super easy to hang back up because of the wire. Next Next post: Chalk Paint! I’m in loooooooove!